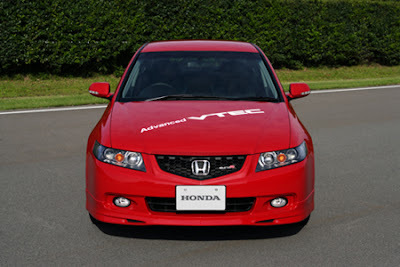 Last year, Honda announced it's next generation VTEC engine, Advanced Variable valve Timing and Electronic lift Control (A-VTEC). 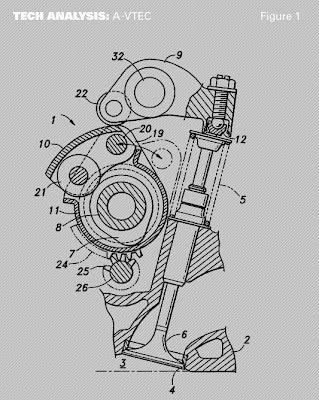 This new technology is hypothesized to appear in the next generation Honda Accord, which combines continuously variable valve lift and timing control with the continuously variable phase control of valve timing. As a result, the engine gets better performance, fuel economy, and lower emissions. A-VTEC optimum controls intake value lift and phase in response to driving conditions for an increase in torque across the engine rev range. 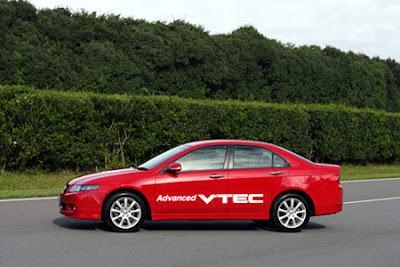 The A-VTEC system has a 13% improvement in fuel economy over the current i-VTEC engines. 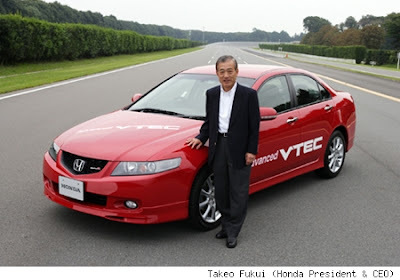 The 13% figure was obtained comparing the current K24A 2.4 liter i-VTEC engine with a new 2.4 liter A-VTEC equivalent. Emissions are compliant with US LEV2-ULEV standards and Japanese Low-Emission Vehicles standards with levels 75% lower than 2005 standards. For more images like this, head over to VTEC.net.